The Paston letters have long exercised a tremendous fascination for their capacity to recreate in vivid detail the lives of an ordinary well-to-do fifteenth-century family. 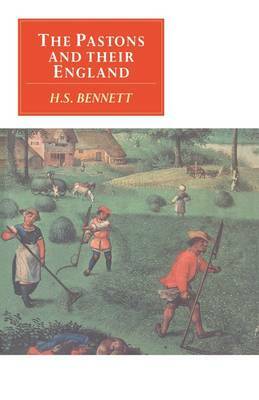 H. S. Bennett's classic study recreates beautifully their historical context and offers the additional perspectives provided by the letters of their correspondents: bishops and serving men, prisoners and dukes, priests and ribald companions. Among the intriguing areas of late medieval life which are explored are marriage, women's lives, education, travelling, the law and lawlessness, the clergy and the changing face of the English countryside. This account of the Pastons' England reveals an age of historical transition as it was played out in the daily challenges of individual lives.